Life puts us in situations for reasons. I strongly believe I began MemoryMinders not only to help others with memory loss but also loved ones. Even more so, I know I’ve been called to this work for myself and now I have proof. An alarming research article I read this week truly hit home. Analysis of data from over 2000 midlife women proved what many of us midlife women fear: our forgetfulness is actually cognitive decline. The women, enrolled in the Study of Women’s Health Across America (SWAN), were tested in various capacities over several years to measure cognitive changes. What they found was “strong longitudinal evidence of cognitive aging in midlife women with significant…declines in processing speed and memory.” Ouch. But before we all throw in the towel to eventual cognitive decline, let me shed some light on this dire revelation. This study only looked at and compiled test results. They even suggest “further study is needed to identify factors that influence decline…and to develop interventions that slow cognitive aging.” Great, while we all wait for ‘further study’, I’ll tell you what’s worked for me, a midlife woman in the age group studied. I have been reading and studying research on this very area for the last eight years now. I identified some minimal ‘cognitive decline’ in my mid 30’s and again in my early 40’s and set out to do something about it. I later began MemoryMinders after watching loved one’s memories deteriorate. 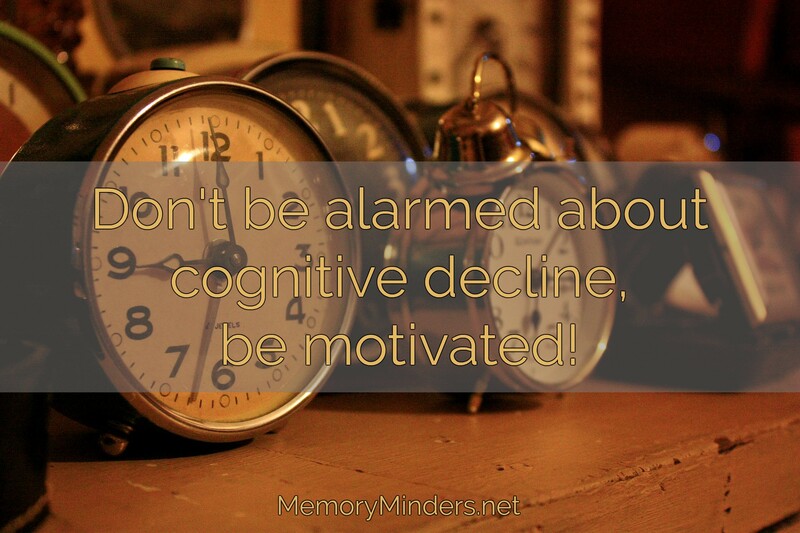 There ARE ‘interventions’ to slow cognitive aging and these are the core of all MemoryMinders programming. No, it’s not a magic solution nor will it change degenerative disease processes already occurring in anyone’s brain . But all we teach, present and impart in our original programming is based on research regarding differing techniques and lifestyle behaviors to sustain and enhance cognitive function. Recently, I compiled some of our own data from participants in one of our long standing group programs. The results speak for themselves: ALL of our members improved in their cognitive testing and maintained improvement from baseline up to two years later (and counting)! I also personally apply everything I teach and advocate in my own life and with those I love. While I do not remember everything (just ask my children), I know I am mentally more fit and have a strong memory. When I slack in any of the lifestyle areas impacting memory, I feel my mental capacity slip as well. Yes, the proof is in: cognitive decline begins in midlife for women (and men). But there’s no reason to panic. Let’s use this as motivation to put habits and lifestyle changes in place to maintain and even enhance our minds and memories. So if you ever think you’re becoming more forgetful, you just may be. But don’t be alarmed, be motivated!